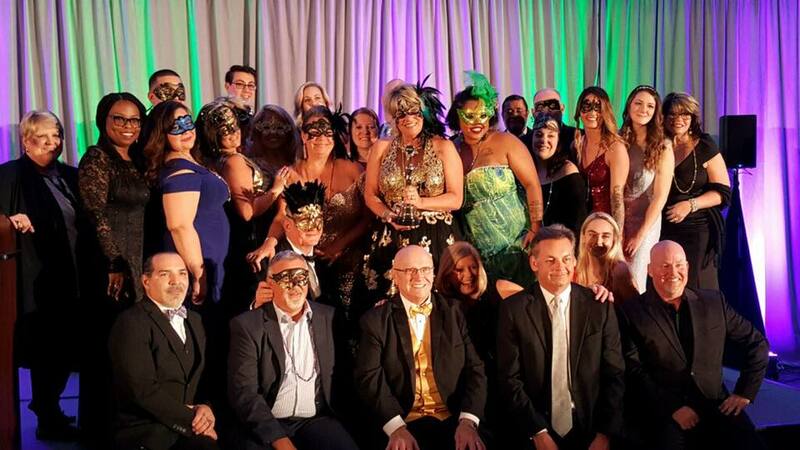 CENTURY 21 real estate agents from North and South Carolina gathered in Myrtle Beach, SC to recognize and congratulate fellow agents and companies on their success in 2018. The rally also provided agents with the opportunity to attend workshops and listen to lectures about the industry and emerging trends. 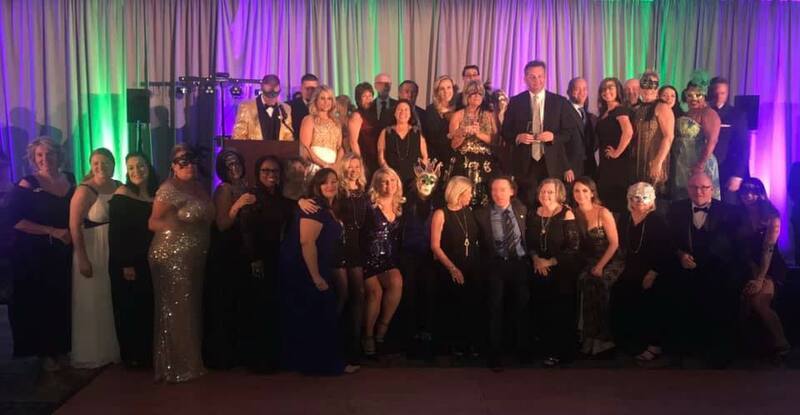 CENTURY 21 Sweyer & Associates received numerous top regional awards at the closing banquet for their outstanding sales in 2018. CENTURY 21 Sweyer was ranked #1 CENTURY 21 in North and South Carolina in closed sales for the 15th consecutive year. CENTURY 21 Sweyer has achieved the Quality Service award for the past 19 years consecutively. CENTURY 21® corporate also recognized their top award winners worldwide and a number of our agents received their top honors. The Landfall office was awarded as the Double CENTURION® office award winner. The Jacksonville office was awarded the DOUBLE CENTURION® office award. Scott Morrison, Jeff Lesley, and Anne Arnold earned the DOUBLE CENTURION agent award. Art Ricks, Kelly Willis, Sandy Thornton, Oscar Garcia, Christine Arnold, Stephanie Osborne, Brittany Spencer, and Diana Jewell received the CENTURION® Award, which is given to only 2% of CENTURY 21® agents internationally. Ace of Real Estate received the Team CENTURION® Award. The Quality Service award winners were Kelly Willis, Polly Floyd, Linwood Stalls, Jeff Lesley, Brittany Spencer, David Williams, Trina Thomas, Summy Rucker, Sylvia Pate, Shane Dietlin, Lindsey Jenkins, Neil Leonard, Darlene Boyd, Sharon Overholt, and RJ Alex. The Quality Service Team Award winners were the Lejeune Home Pros team. Our Quality Service Pinnacle Producers were Scott Morrison, Lisa Hofe, Stephanie Osborne, Ammie Archer, Garrett Cox, and Michael Rheel. Our Quality Service President’s Producers were Scott Morrison and Stephanie Osborne. The Masters Ruby Award was given to Terry Milam, Lisa Hofe, Lillian Wendricks, Mollie Combs Barrett, Scott Sawyer, Cheryl Hollis, Adam Connolly, Garrett Cox, Lisa Fisher, Michael Rheel, Timmy Evans, and Brian McGhee. The Masters Emerald Award was given to Michael Otelsberg, Van Coley, Craig Yarboro, Peter Sweyer, Taylor Greene, Alex Johns, Leigh Saunders, and Shane Dietlin. The Masters Diamond Award was given to Bobbi Bell, Jason Allen and Darlene Boyd. The Masters Team Award was given to Lejeune Home Pros. “It was a great opportunity for our agents to connect and network with other top agents in the two states and learn from other agent’s business models, tips and strategies to help expand their business.” said Jeff Sweyer, Owner of CENTURY 21 Sweyer & Associates. Agents returned from the rally with a fresh perspective on their individual business plans and the motivation to set up new ventures for the spring season.